Kitchens and bathrooms are arguably the two most important rooms in a house. Our morning starts with a trip to the loo. There’s also nothing better than a relaxing bath in the evening. On the other hand, kitchens are the heart of the home; sharing a family meal in the kitchen can be a delight. Therefore, it’s important that both spaces are functioning optimally to support your needs. 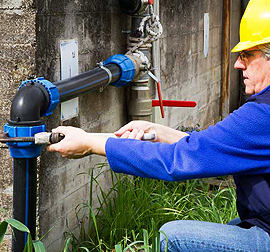 Don’t compromise on your health and comfort with other plumbing services, our licensed plumbing crews in Fort Worth, Texas will repair your kitchen plumbing in no time. Unfortunately, bathrooms and kitchens are two of the most common places that experience plumbing emergencies. From faulty fixtures to broken pipes, a bathroom or a kitchen plumbing emergency can throw a spanner in the works. Luckily, you don’t have to worry about plumbing emergencies anymore. At Pro Serve Plumbing, we’re experts at dealing with any plumbing emergencies thrown our way. Just give us a call and we’ll be there! Whether you have a jammed up garbage disposal system or a sewer line in dire need of repair, call us! Our expert plumbers have all the necessary training and experience to take care of any job, no matter how small or serious. Our emergency plumbing services are one of the best in the area. Got a plumbing problem? We’re more than happy to provide help! Give us a call and our expert plumbers will come right over. Depending on the extent of the problem, we’ll provide you with a FREE, on-site estimate.